A 52-year-old man has died following a one-vehicle crash in the Highland. 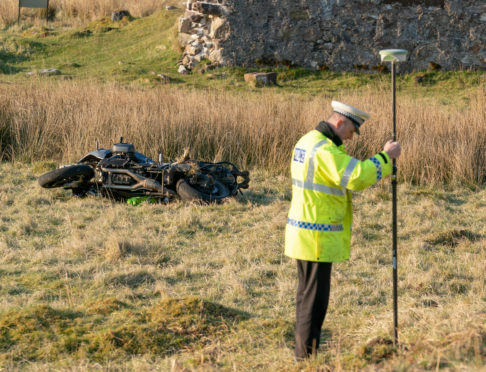 He was riding a grey BMW R1200 motorcycle and had been travelling north on the A837 towards Lochinver when the collision happened around 3pm on Tuesday, April 9. He was taken to Raigmore Hospital in Inverness, where he died of his injuries yesterday. Road Policing Sergeant Donnie Mackinnon said: “Our thoughts are with the man’s family and friends at this difficult time for them. “We are carrying out inquiries to establish the full circumstances of the collision and would urge anyone who may have any information to come forward. “Any information can be passed on by calling the Road Policing Unit in Dingwall on 101, quoting incident 2147 of April 9.